According to Salesforce’s annual State of IT report, 81% of tech leaders believe IT is entering a new era driven by customer expectations. To thrive in this customer-centric market, companies are redefining their approach to IT from reactive technology provider to proactive and strategic business partner. How? Through increased innovation. And that’s why we’re so excited to announce our newest partnership with OneLogin. 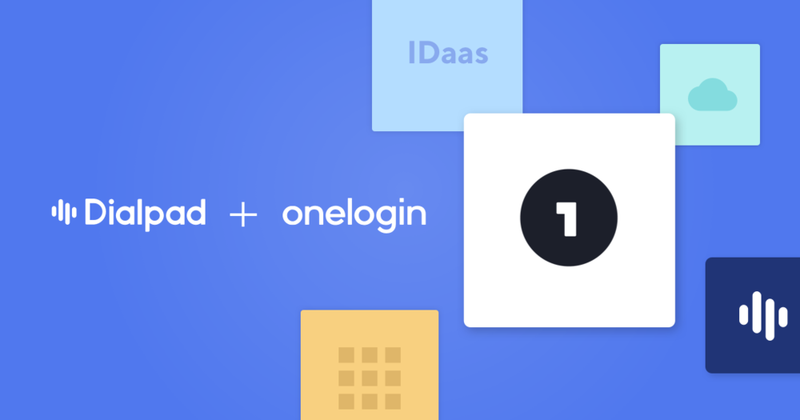 Together with OneLogin and Dialpad, teams stay connected and secure with an AI-powered, cloud-based phone system that’s anything but reactive. With our latest integration, IT teams can not only support the onboarding and offboarding of employees, but also ensure that they’re they’re accessing Dialpad via secured single sign on (SSO). And with features like sentiment analysis and live dashboards, your sales, marketing, and support teams can finally get real customer insights on things like purchasing decisions, troubleshooting issues, and even competitive analysis—all in real-time. When it comes down to it, IT leaders should see themselves as the agents of change that they are—introducing a new wave of tech that delivers both inside and outside your organization. To learn more about Dialpad and OneLogin, visit us in the OneLogin directory below.